This coming spring, light up your hands-on lesson plans with games. See how easily games can be used with many of your existing Montessori presentations. Take a moment now to look at some resources you may not have even considered. You’ll notice that I have included a short quoted snyopsis in each of the recommended resources below. Hopefully, this will save you time, as you search for the perfect games to add to your existing curricuum. Perhaps you are in the process of presenting lessons on biomes, as a logical extension of the Montessori Land and Water Form http://www.lordequip.com/land water.php exercises. If so, consider the ones offered by Ampersand Press. 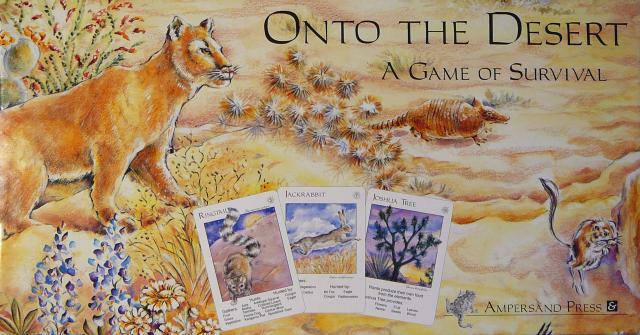 Children are offered 7 ways to play the Onto the Desert Game. “Take a wild trek onto the desert. Beautifully illustrated cards represent plants and animals that are found in the desert. Element cards represent the powerful forces of nature. Reveal the awesome balance of nature as you follow the chain of life in the desert.” See http://www.ampersandpress.com/page2.html for additional information. 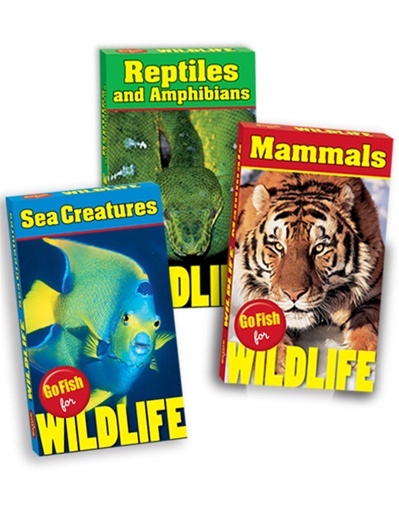 There you will find a collection of “wild card” games and book sets that are known to increase, memory, concentration, reading, visual processing and strategic thinking. Topics include the following: North American Birds, Backyard Birds, Baby Animals Around the World, 52 Amazing Places National Parks, Dinosaurs, For the Love of Dogs, For the Love of Cats, North American Mammals, Bugs!, and Who’s Hiding? Childsake also offers many excellent educational resources for those preparing presentations about the environment. One book that is ure to catch your eye is the Eco-Fun: Great Projects, and Games for a Greener Earth. Look for the Guide/Extension Activities by Dr. Pam Schiller in the soon to be released AMC Montessori Spring Newsletter. As you can see, movement and Montessori go hand in hand. Let’s look at two rather unique resources you can use in your school or home classroom. Combine movement and music with the Music for Little Folks resources. Gari Stein offers many different types of resources plus a complete curriculum package for those preschoolers. Click on http://www.little-folks-music.com/CDs.htm to learn more about this fun movement activities and songs, as well as additional products and resources. Did you know that you could easily integrate a “game” into your Montessori reading music presentations? Read the post http://www.whatdidwedoallday.blogspot.com/2013/03/montessori-music-reading-music.html on What DID We Do All Day? 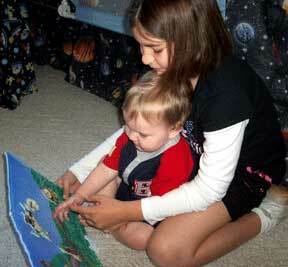 to access the lesson plus discover additional fun Montessori music based activiities found at this blog. Why not create some Montessori math games using the following resources? 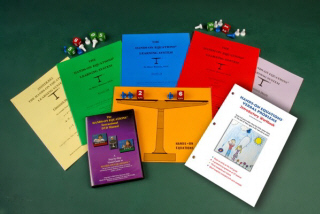 The LORD Equipment Company offers a free curriculum guide for the Money and Math Bank Game. “From an early age, children are fascinated with money a they see the interchange at the grocery, at the bank, and changing hand a part of day to day transaction.. They observe with fascinaIon the feeding of money to countless machine that produce treasure of candy, drinks, gum, and game that challenge youthful energy at mega pizza parlors. This high interest factor suggest a natural learning opportunity, capitalizing on children’s enthusiasm. Money become a natural tool for their practice and exploration of basic math and economic concepts. Visit the Homemade Montessori http://homemademontessori.blogspot.com/2008/12/math-games.html blog for some additional ideas to use with your existing Montessori math curriculum. The Winter 2014 Olympics, https://montessori21stcentury.wordpress.com/2014/01/08/2014-winter-olympics-lesson-planning/ allow children to watch thousands of athletes engaged in competition in a friendly, uplifting environment. Whether you are tutoring in a one-to-one learning environment or presenting lessons in a classroom setting, chances are using one or more of these recommended games will add a new dimension to your lessons. In so doing, you will be helping to make your student(s) learning experiences more meaningful. As parents, teachers and mentors, we have the exciting opportunity to help children develop a thirst for knowledge and enriching experiences. Broaden your students’ horizons by exploring new subjects, revisiting old interests, and experimenting with new skills and techniques like those found below. Older students might enjoy some of these resources for learning more about other cultures and countries.